Taalman is a partner at the law firm of Brignole, Bush & Lewis, following ten years of international experience, which included serving as the American Bar Association Liaison to the Republic of Estonia. He was a Special Advisor to the Chief Justice of the Supreme Court of Estonia and was a founder of the Estonian Law Center, a comprehensive educational and training facility for judges, attorneys and court personnel in Estonia. Taalman also taught at the University of Tartu Law School and worked with its faculty and the ABA in re-writing the Civil, Commercial and Criminal Codes of Estonia. He also served as the United States Information Agency Professional-in-Residence at the Supreme Court of Estonia and in that capacity he conducted professional training for judges and attorneys, translated official decisions of the Supreme Court into English, prepared country reports and evaluations, translated the book, History of Estonian Courts, into English, wrote for the University of Tartu Law Review, and with FBI sponsorship, chaired an international seminar in Tallinn on organized crime. 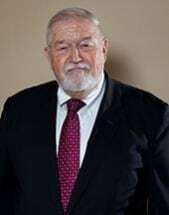 In addition, he organized or participated in international legal conferences in Finland, France, Latvia, Lithuania and Estonia and subsequently served as vice-president of the Europe division of Parallax Group International, LLP, an international business consulting firm. For his work in Estonia, Mr. Taalman received the University of Chicago Alumni Association Public Service Award in June, 2015.